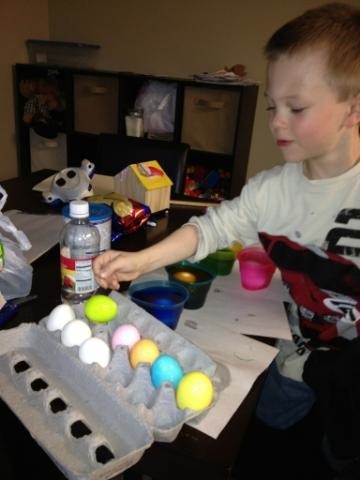 My daughter sent me this picture of my grandson coloring eggs. I just love the proud look on his face! Now I am going to spend the rest of the afternoon reading The Hunger Games. I have to see what is all the hype about this book.